... like white, blue, pink or other! You can choose what you like best and the clothes will look great! 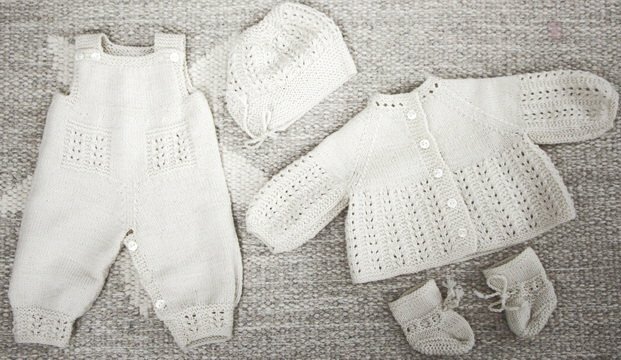 I liked these doll clothes a lot when they were finished. 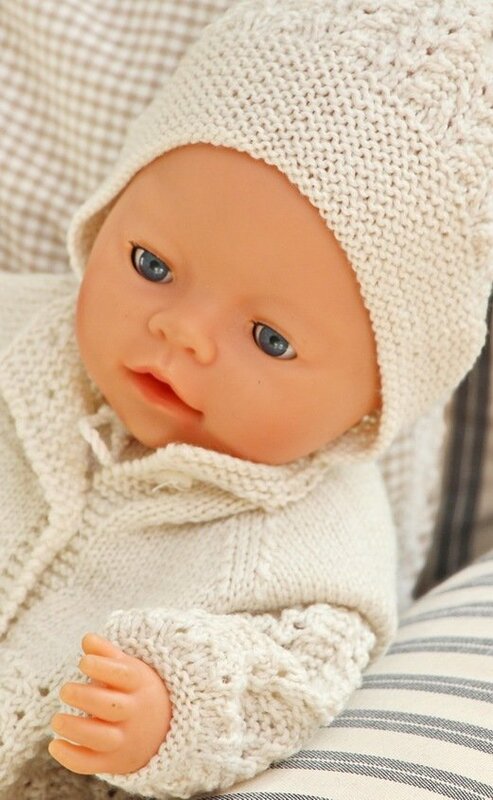 The pattern was beautiful for baby knitting and I wanted to share it with all of you knitting my doll clothes. 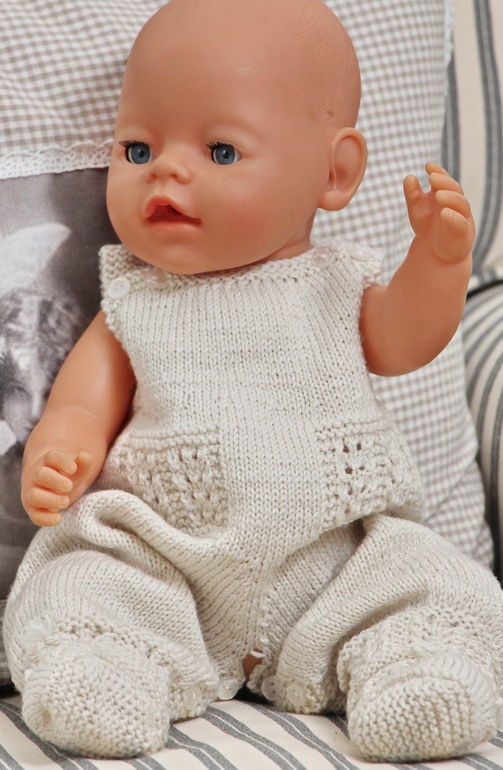 The jacket is a little wide around the doll’s waist, and I have used raglan decreases for the arms. 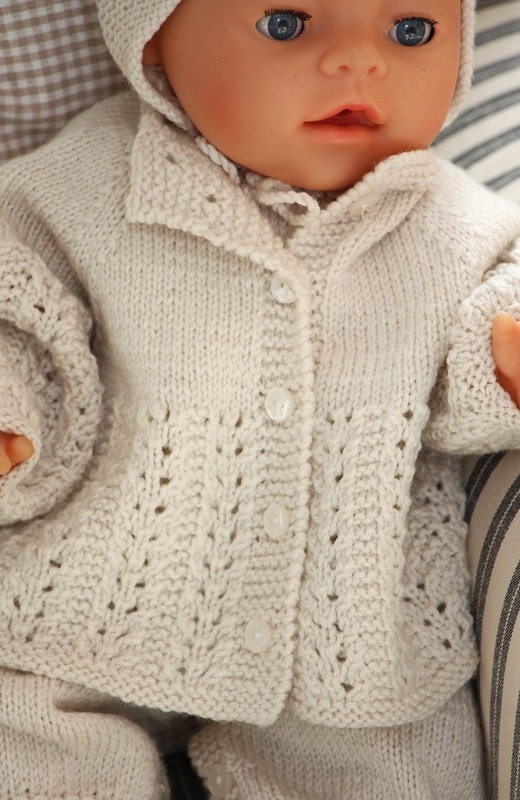 A cute jacket for my doll Helena I think! 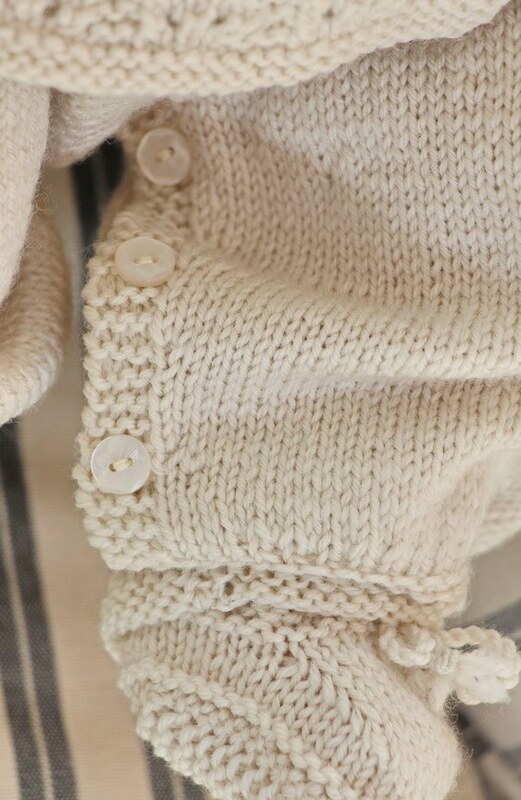 I also knitted a romper with small squares at the front of the pants in this pattern. 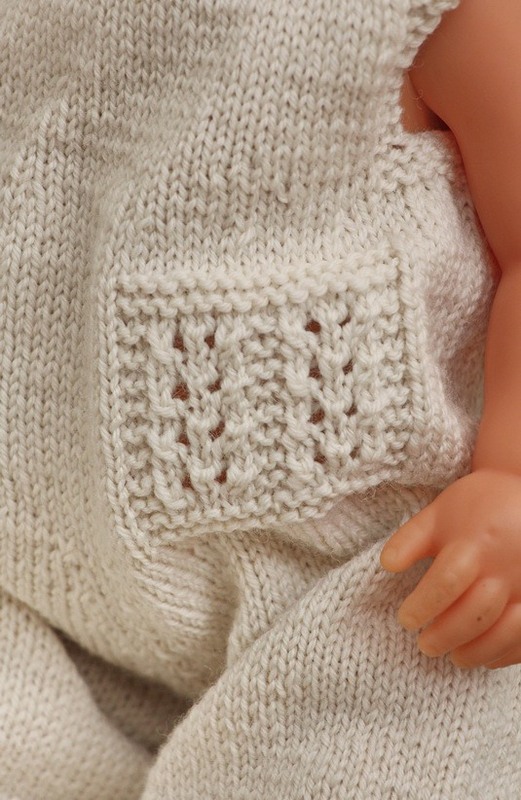 They look like pockets and were very nice knitted on the doll’s romper. 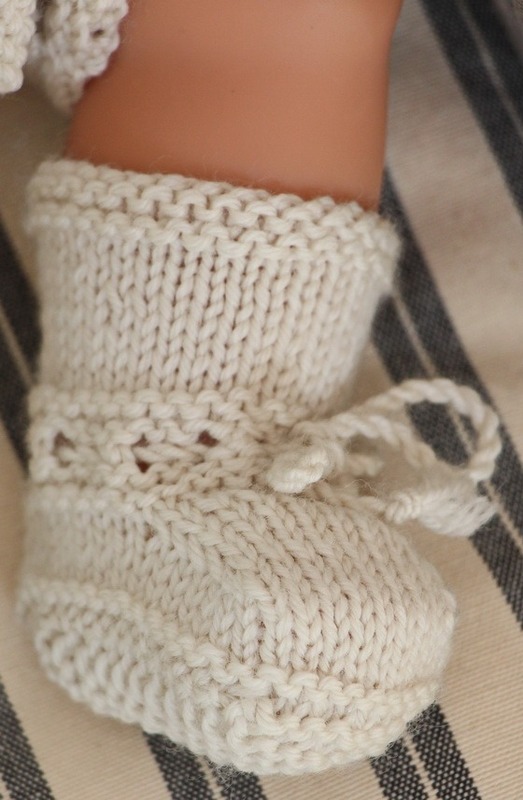 The socks is knitted without any pattern as the romper has pattern round the legs. 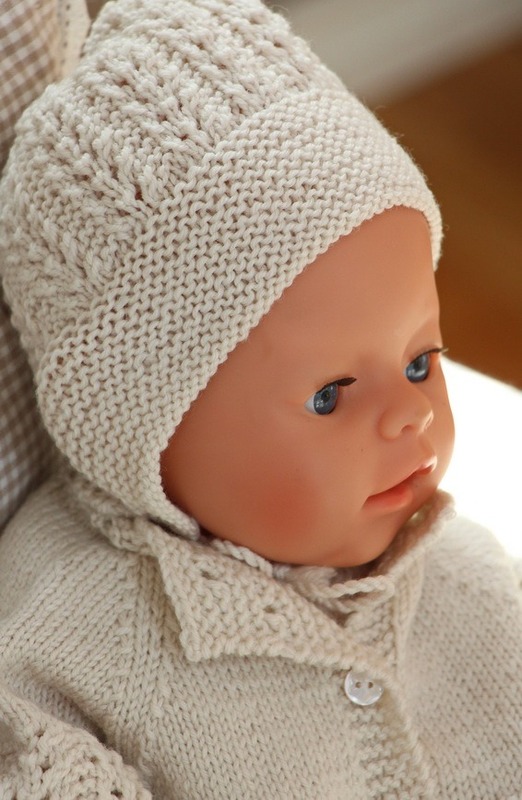 The bonnet is knitted with an edge knitted in garter stitch and together with this pattern. 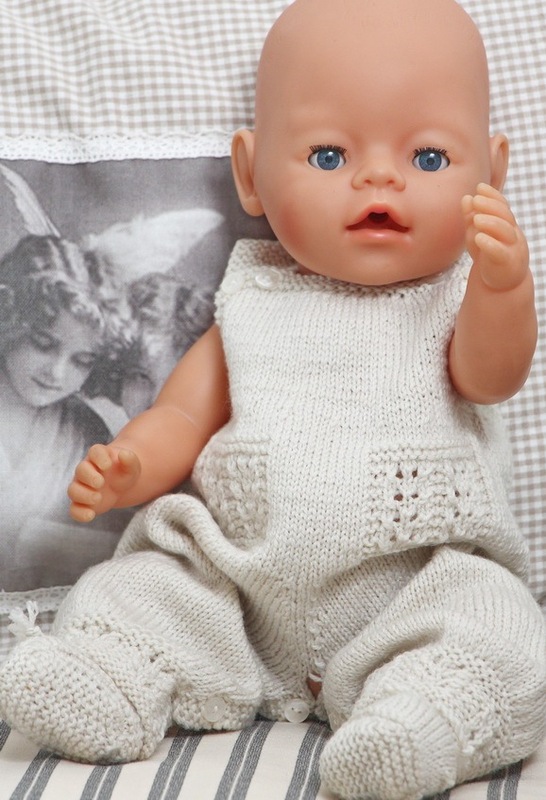 To me the doll Helena looks lovely dressed in these new baby clothes. 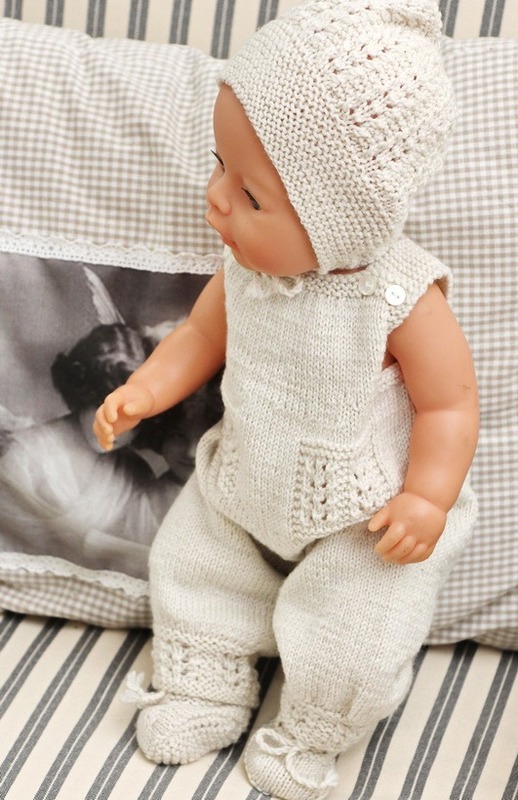 Cardigan, Romper, Bonnet and Socks. 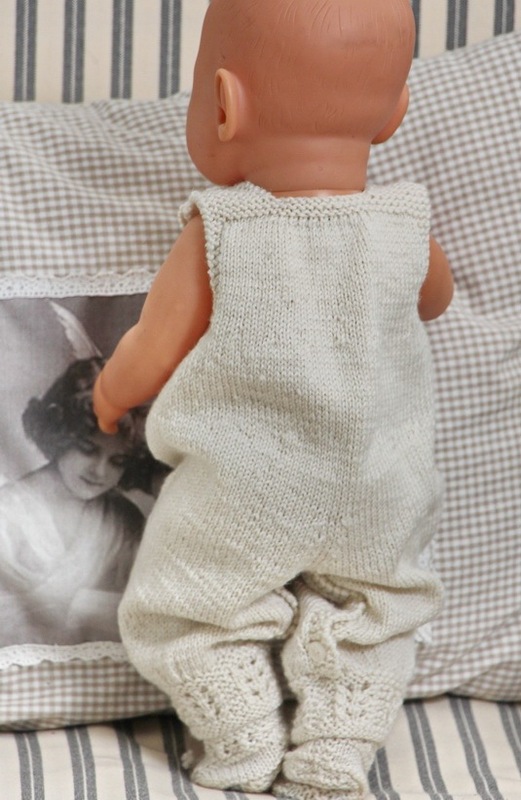 Looking at my doll Helena in these clothes I decided to upsize this pattern to baby sizes. You will find the pattern at our baby side. 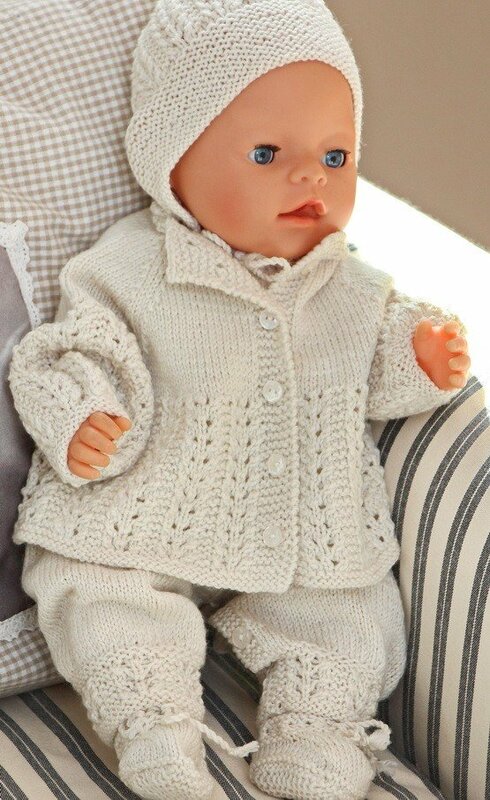 I hope you will love to knit these beautiful clothes for your doll. Enjoy you knitting! Good Luck!